This 26-Year-Old Pinay Has Traveled To 50 Countries! 142 countries to go! Find out how she does it. 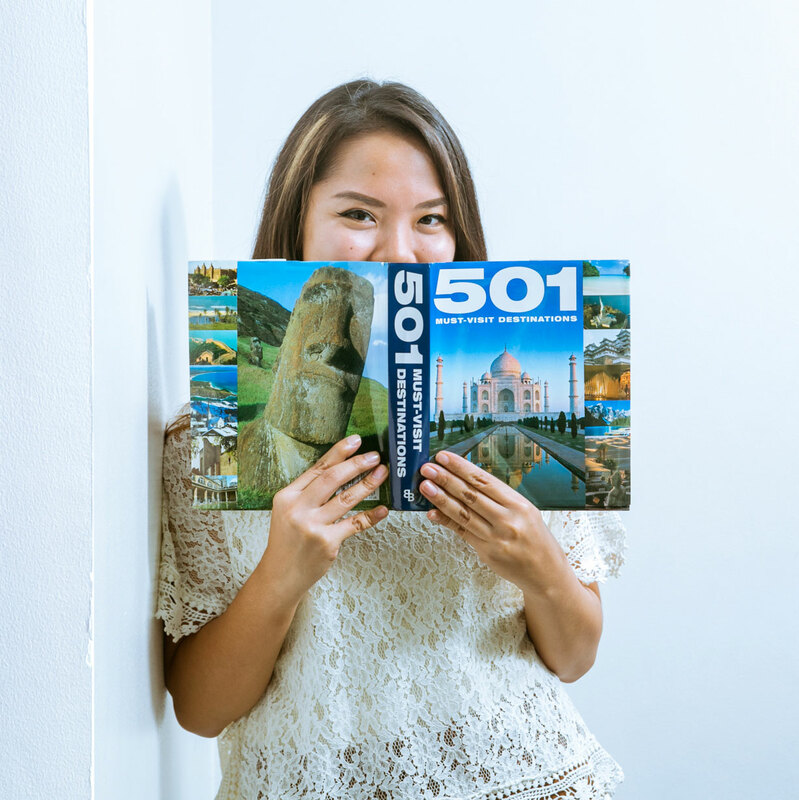 Feliz Axalan shares her tour experiences, travel hacks, and saving tips. She is the ultimate #travelgoals! I used to be really into video games, so much so that I made a career out of it. I joined a Korean gaming company, and I stayed with them for six months. At first, it was really fantastic because I got to play all of our competitors’ games for free. But after a while, parang nabobo ako. I asked my mom if I could try working for the family; we’re tour operators or travel wholesalers. For the first three months, I was super depressed. I was young! I couldn’t handle the stress. I couldn't handle the clients. I was so used to the virtual world that talking to clients face to face was really daunting for me. My colleagues told me to hang in there, and I’m so glad I did. What exactly do you do as a tour operator? As tour operators, we cater to the needs of travel agencies. Travel agencies sell you travel packages, but we arrange those packages. We design them—from setting dates to getting contracted rates for all the services. Our main goal is to help small travel agencies grow. Eventually, when they do grow, they decide to work directly with suppliers. We’re proud of that. Our most important job is to make traveling affordable for Filipinos. That requires a lot of research. When I handle corporate accounts that go abroad, they have very specific requirements. I have to meet up with CEOs and I have to know what to tell them. Because it is so much research, I travel a lot for work, just so I know what it’s really like out there. I tend to suggest places I’ve never been to so that if I win the bid, I’ll be the one going there as a tour leader. Another number for the country count! What does it take to be a tour leader? If you’re a fresh grad, you need to work for two years to familiarize yourself with the operations and the clients. But in the travel industry, most people start off as reservations officers. The normal starting salary for that is P15,000, but you can get up to P30,000 with travel benefits. Every time I post on social media, it’s curated, so most people don't know what I have to do for the job. It’s really not for everyone. For example, during a trip to Japan, my colleague and I had to buy 90 packed lunches for people stuck at the airport. With the language barrier, it was a real struggle. Carrying 90 lunches, we had to walk 15 minutes to the hotel, and it was the longest walk of my life! Because the clients were all at the airport, we had to figure out a way to bring them all the food. And as if that wasn’t difficult enough, I had to stay back to make arrangements for the conference, so I emptied my suitcase, dumped the lunches in there, and sent my colleague to the airport. You have to be excellent at making fast and smart decisions. You have to keep your mind rolling. You have to consider all possible solutions. The job isn’t just about traveling for free. Have you tried doing something else since you became a tour leader? Kind of. I moved to Hungary for ten months just to try something else. That didn’t work out quite like I had hoped, but it taught me a lot about business and dealing with other cultures and markets. To clarify, I worked for a traveling company, too. 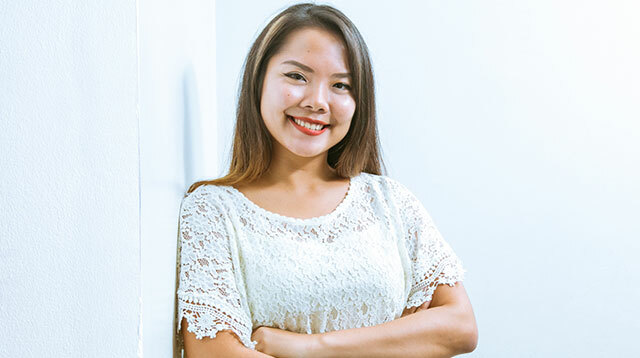 I was a tour operator and I had to deal with Southeast Asian markets going to Europe, but at the time, I was doing everything—sales, operations, product management. My western colleagues had work-life balance, and I was the one who was always on-call. They wanted me to deal with all the emergencies! I’ve been to 50 countries in total, and I have 142 left. I started traveling when I was 13, but of course, after that, there was a long hiatus. I started regularly traveling when I was 21. In 2012, I went to 12 countries. I’m hoping to close this year at 60 countries. I’ve actually started blogging about my trips. Most travel blogs tell you where to go and what to expect, but they don’t break down the costs for you. What’s cheap? What’s affordable? What’s expensive? That’s what I’m trying to do. What is your #1 travel hack? I’m a huge fan of raking in mileage and reward points. I let other people use my credit card when they need to make big purchases so I get the points for that, which can be converted into mileage. I try to be familiar with all the alliances so I know which one has the most flights, and this helped me a lot especially when I went to Bulgaria. I didn’t want to let my company pay for it. Since I also had to fly to Russia, I used my points to get a free flight. My Manila to Russia to Bulgaria flight was free! I only had to pay for the booking fee. Out of the 50 countries you’ve been to, which one was your cheapest trip? The cheapest was when I went to Siem Reap in Cambodia. My goal was to only spend P10,000 for a four-day trip. The flight was only P3,000, because it was a promo (and I booked it ten months before the actual trip). I wanted to challenge myself on the trip so I didn’t bring any of my cards with me, just the cash. I was able to do it, but the last day was a struggle! My trip to Iceland is the most expensive one I’ve ever had—but also the best! I saw the northern lights. The snow was so pure, and the air was so clean. I was in Iceland for ten days, and the entire trip must have cost $5,000 (P240,000). I’m trying to find ways to make Iceland more affordable for Filipinos, because everyone deserves to experience that. Iceland only has 350,000 residents, but last year, they had 1.2 million tourists. The economy is doing really well, but they’re really trying to fix the infrastructure, so they can bring the price down and people can have an easier time visiting. How do you save up for your trips? I always try to picture how much the trip is going to cost me. When I get my salary, I automatically transfer a portion of it to an account called “Untouchable.” I literally have no ATM card for that account. The only way I can get to the money in there is by going to the bank. 25% of my paycheck goes there, which is the most disciplined thing I’ve ever done. Another saving hack I have is that I don’t use my AC. I keep my electricity bill to P1,000 (at most). One time, I got it all the way down to P300. You also have to be resourceful. When I lived in Hungary, I noticed how good their secondhand community was so I literally sold everything I could get my hands on. When I visited the Philippines, I hoarded all the things my family wasn’t using and sold it in Budapest. That helped me fund my trip to Japan. Also, whenever I see a promo, I book it. I don’t care where it is or when it is or if the travel time is 32 hours—whatever it takes to get the cheapest fare! In many ways, it helps me with my job because I get to know all the immigration and transit rules of different countries. These sacrifices are what make traveling possible (and easier) for me.